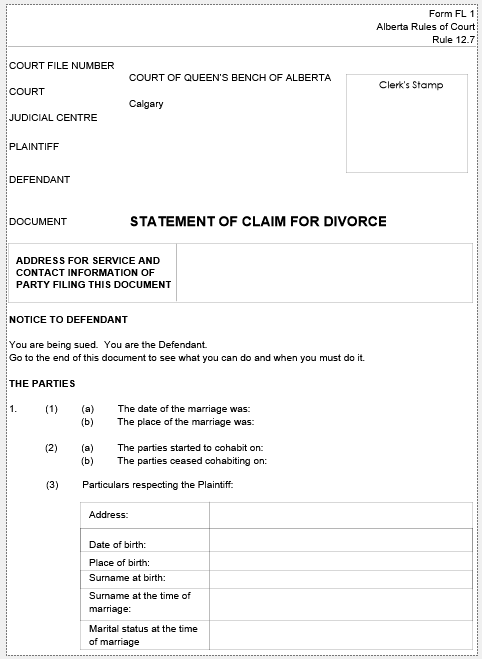 Are you looking for divorce forms for Alberta? Or, perhaps you are looking for someone to help prepare your divorce forms—someone that is much cheaper than a lawyer? You’ve come to the right place! hiring a paralegal that can provide personal one-on-one service. Should I hire a Divorce Paralegal? Completing your own divorce forms when your situation is uncontested is a lot like completing routine personal income tax return for simple situations. Since you file your taxes year-after-year, it makes sense that you learn how to prepare and file your own Income Tax Return if your situation is not complicated. However, your divorce is a one-time thing (unless you Zsa Zsa Gabor) and involves a lot more steps and forms. So, leave the preparation of your divorce forms to the experienced paralegals. If you are a teacher—teach what you know. Let us handle your divorce. If you are a truck driver, do what you do best. Drive! But, be sure to put us in the driver’s seat when it comes to your divorce. Already stressed about your marriage breakdown? Leave the messy uncomfortable stuff for us to handle. Its simply more painful to let a divorce drag on longer than it must. Too busy working Monday-Friday? We do all of your court filing so that you do not lose time at work during typical office hours. I’ve been in business since 1995 and have trained a lot of divorce paralegals. When it’s a divorce with no children, it can take my newly trained paralegal a dozen times to learn how to prepare all of the divorce forms and to follow the procedures properly. When there are children, it can take much much longer. One of my divorce paralegals worked with lawyers in the divorce field for over 10 years before coming to work with me. She did the happy dance every time I audited her file and could not find a single error! Also, my divorce paralegals are required to take law courses which include a study of the Divorce Act and legal procedure. And, it still takes a lot of time for them to learn how to complete all of the divorce forms properly and follow proper procedures that can vary from file to file. 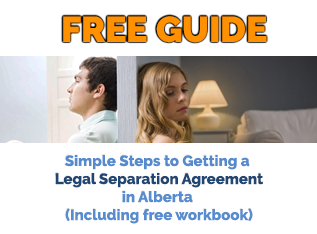 It can take years for a divorce paralegal to encounter all of the situations that can arise on a court file due to unique situations facing each client. As I’ve processed 5,000+ divorces personally, I’ve pretty much seen everything that can happen! Time-sensitive? No problem, we know exactly how to speed up your divorce if this is a concern. Property issues? No problem. We also assist with legal separation agreements. give you peace of mind knowing that you are in good hands! The problem with divorce kits or online service providers is that you are still required to do a lot of your own work, including meeting with a Commissioner for Oaths to have your Affidavits commissioned, attending the court house multiple times and arranging service on your spouse by a third party (you can’t be the one to personally serve). There is a lot of running around. Plus, online service providers are very inefficient. A quick phone call helps us get right to the point whereas impersonal email or online chatter can result in a lot of back-and-forth. Each person’s situation is unique. Just pick up the phone and call us. It is much more efficient. Can you trust the divorce company you are about to hire? Plus, I would personally recommend you not hire an online service provider when (a) you can’t easily reach them by phone; (b) they are not local; (c) they don’t list their key employees on their website; and (d) they don’t list their address or head office. Also, some online service providers buy reviews. So, you can’t always trust if the reviews are legit. Google reviews are great because the name of the person giving the review is shown. You can also see very quickly that the person giving the review is local to the company that they hired–they are not the result of bought reviews from an array of people from third world countries! The challenge is, they tell you generally what you are required to do, but they don’t tell you how to fill out the forms or proper wording that will prevent rejection. Can I complete my own divorce forms? Of course, you can fill in your own divorce forms, go to court, file, arrange service by a third party, wait to see if your spouse is going to contest your divorce, then fill in the balance of your divorce forms and file them too. Then you wait for your divorce to be granted. But, it often is not as simple as that. Rarely, can a person get from A to Z without some type of obstacle. I can’t emphasis this enough. We get a bunch of business from people who have struggled to do their own divorce but have failed. Errors result in rejections. The rejections are most unfortunate if they are not discovered until after you have served your spouse. You may have to amend your divorce forms, re-file and re-serve. Essentially, you are starting all over! Sometimes the errors are not spotted until after your papers have made it all the way to the Judge 2 to 3 months later provided you’ve not delayed in getting to that stage because of lack of experience! Of course, if the Clerk missed an error, they could reject on one error, you fix it and return the file to the Clerk only to have it rejected again. If there are children, there are extra steps involving child support calculations and taking the mandatory parenting seminar. Also, the child support guidelines are law. If you are deviating, you need a good reason for it. The child support guideline forms are not available on the internet. You must attend the court in person to have the Child Support Guideline Worksheet Forms prepared on your behalf. But, if you hire us, we take care of that step for you. Only a Judge can rule as to whether the deviation from the Federal Child Support Guidelines is warranted. You can be 3 or 4 months into the process (provided you have not been making lots of mistakes along the way or delaying due to lack of experience), before you find out if the proposed child support has been rejected. Back to stage 1. You may need to amend the first document, file and re-serve, and wait some more, update the final papers, and re-file. There are other methods to fixing errors that may apply, but the method that is available to you really depends on the type of rejection. Lets just hope that the Judge is happy with your revisions and there are no further rejections! Also, if you follow the child support guidelines, you can participate for free in the recalculation program. But, if you deviate, then you may have to return to court every time you want to change child support. How does a Joint Divorce work? If you and your spouse are willing to work together as co-applicants, rather than proceeding with a regular divorce, we can as an alternative, prepare all your joint divorce forms for both of you. During our interview, we’ll help you assess whether a joint divorce is a good approach for your individual circumstance. A joint divorce can be a more complicated process if part way through the divorce your spouse withholds his or her cooperation. Alternatively, if you wish to amend the Joint Divorce after granted (usually this happens when there are children), it can also be more complicated if your ex-spouse withholds their cooperation at that time. Often, a regular divorce puts you in the driver’s seat and gives you a bit more control over the outcome. We’ve been in business since 1995. We are committed to providing high quality, affordable and efficient service. That’s a guarantee!